It is with a heavy heart that I share with you the passing of Catherine D. Lewis, former director of the NIGMS Division of Cell Biology and Biophysics. As previously posted, Cathy retired in January after more than 30 years of service at NIH. Although already on the horizon, her plans for retirement were accelerated by a diagnosis of cancer and the need to focus her energies on trying to beat it. Unfortunately, she died just six months later, on July 12. As noted already, Cathy made many contributions to the scientific community and over a lifetime made many friends. She regularly participated in meetings of the American Society for Cell Biology and the Biophysical Society, but also in more intimate gatherings of scientists such as FASEB and Gordon Research Conferences. She was always interested to hear about research advances and willing to provide guidance about NIH processes. She was equally comfortable engaging non-scientific audiences about the research supported by her division. Cathy personally managed a robust grant portfolio of cutting-edge research in the fields of nanoscience and single molecule methods. Earlier in her NIGMS career, she managed grants in genetics and developmental biology, as well as grants in structural biology that led to the first crystal structures of the ribosome. She also helped oversee the Institute’s initiatives aimed at advancing structural genomics, improving methods for cellular imaging, creating a library of cell images and, most recently, supporting resources for cryo-EM and cryo-EM tomography. Within NIH, Cathy was known for her work ethic and her ability to make people feel at ease. She managed a division responsible for more than 1,300 grants, and did so with grace, patience and a sunny smile. Catherine D. Lewis, director of the NIGMS Division of Cell Biology and Biophysics (CBB), retired in January after more than 30 years of service at the NIH. Throughout her career, Cathy was widely recognized for her scientific foresight and leadership, including the early recognition of important emerging research opportunities in molecular biology, biophysics and microscopy. Her tireless work behind the scenes ensured that these transformational new research approaches were seamlessly integrated into the NIH portfolio and able to grow rapidly. Cathy earned an M.S. and Ph.D. in biochemistry from Princeton University and joined NIH in 1983 as a staff fellow at NIDDK in the lab of Gary Felsenfeld, where she studied chromatin structure and the regulation of beta-globin gene expression during development. Her career at NIGMS started in 1989, when Cathy moved to the Institute as a program director in the Genetics Division—led at the time by Judith Greenberg. She managed grants on cell nuclear structure and function and was instrumental in the development of programs focused on epigenetic regulation. Eight years later, Cathy became CBB’s Biophysics Branch chief. In that role, she at one point managed nearly 400 grants, some of which led to breakthroughs such as the structure of the ribosome. She also initiated NIGMS programs focused on new single-molecule methods and nanotechnology. 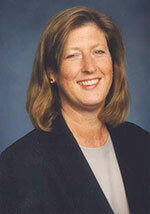 In 2006, Cathy took over as director of CBB. During this period, she oversaw changes in the direction of the NIGMS Protein Structure Initiative, promoted advances in high-resolution optical microscopy and cellular imaging, and led efforts to support atomic resolution cryo-electron microscopy, including a new Common Fund initiative. During her tenure at NIH, Cathy received two NIH Director’s Awards, for her work on trans-NIH initiatives and her leadership on science education in elementary schools. Cathy’s door was always open to all, and her advice was constantly sought by colleagues, not only in her own division, but widely across NIGMS and NIH. Most importantly, Cathy maintained warm professional and personal relationships with those around her, while getting things done and influencing others. “Leading a division that worked well and where people respected each other and got along is something that I’m happy to have been involved in,” she says. Working in the CBB division was fun, because she helped make it so. She will be missed. UPDATE: We thank the community for its initial feedback as we continue to develop plans for this program, which will support research within the NIGMS mission (including a limited number of clinical areas). The program will offer comparable levels of support as the program project (P01) mechanism, but its structure will be quite different. In addition to the capacity building and AIDS-Related Structural Biology program centers, we will continue to support the Biomedical Technology Research Resource centers (P41), Mature Synchrotron Resources (P30), and select coordinating or resource centers in areas of high strategic need. The Collaborative Grant Program presentation at the January 2017 Advisory Council meeting begins at 2:14:10. At its January 2017 meeting, our Advisory Council endorsed a concept for a new program to support collaborative, team-based science. This initiative is the result of evaluations of our previous programs, recent research on the science of team science , and community input. Many research questions in biomedical science can be pursued by single investigators and their close collaborators through single- or multi-principal investigator R01 grants. However, complex research questions may require the coordinated efforts of several research laboratories and closer collaborations among researchers with diverse areas of expertise. NIGMS recognizes the importance and benefits of supporting collaborative research teams when these are necessary to achieve important scientific breakthroughs or new understanding of phenomena. NIGMS’ new Collaborative Program Grant is designed to support highly integrated, multidisciplinary research teams of three to six investigators who will address complex research questions, train and mentor new scientists, and impact scientific problems that would benefit from coordinated research support. The key application requirements are a single, integrated research program without subprojects and a multiple-principal investigator management plan. We expect to issue a funding opportunity announcement by the summer and, beginning in 2018, we will make four to six awards per year with annual direct costs ranging from $500,000 to $1.5 million. We plan to phase out our use of the P01 and most of our other center mechanisms. We will continue to support capacity building centers, such as those of the Institutional Development Award (IDeA) program, and to support the AIDS-Related Structural Biology program centers. We encourage the community to watch the presentation at our council meeting, and we welcome your input and feedback on these plans. You can email your comments or post them here. There has been ongoing discussion—both here and in the general scientific community—related to the first MIRA awards to New and Early Stage Investigators (NI/ESI). One question that arose was why applications were administratively withdrawn. Both the NIH Center for Scientific Review and multiple NIGMS staff members, including the program director with a portfolio of grants closest to the applicant’s area of science, screened the applications. Of the withdrawn applications, a majority (~80%) were returned prior to review because they proposed research that fell outside of the NIGMS mission. Others were withdrawn because the applicant was not eligible for the FOA. After review, some applications were withdrawn because the PI accepted another award that was mutually exclusive with the MIRA. As recommended on the MIRA website and elsewhere, we encourage anyone who intends to apply for the Early Stage Investigator MIRA to discuss their plans with the appropriate NIGMS program director to determine whether the proposed research area is within the mission of the Institute and if the applicant is eligible to apply. A major NIGMS goal is to support a broad portfolio that is diverse in research topics, approaches, institutions and investigators. This means we are looking carefully at the outcomes of awards, including gender and race/ethnicity data. We are also trying to take proactive steps to prevent bias during the review, for instance by covering the topic as part of reviewer orientations that take place several weeks before the MIRA study sections meet. In our recent summary of MIRA applicant and awardee demographics, we looked to see how applications from underrepresented groups compared to those from well-represented groups (White and Asian). The p-value for a difference between the distributions of funded and unfunded applications from these groups was 0.63, meaning that there was no statistically significant difference between the two groups. We also compared the MIRA success rates to those of ESI applicants for NIGMS R01s in fiscal years (FY) 2011-2015 (Table 1). The MIRA presentation at the September 2016 Advisory Council meeting begins at 17:13. Following up on the previous post regarding the first MIRA awards to New and Early Stage Investigators, we issued awards to a total of 94 grantees. In addition to ensuring that we are funding the highest quality science across areas associated with NIGMS’ mission, a major goal is to support a broad and diverse portfolio of research topics and investigators. One step in this effort is to make sure that existing skews in the system are not exacerbated during the MIRA selection process. To assess this, we compared the gender, race/ethnicity and age of those MIRA applicants who received an award with those of the applicants who did not receive an award, as well as with New and Early Stage Investigators who received competitive R01 awards in Fiscal Year (FY) 2015. We did not observe any significant differences in the gender or race/ethnicity distributions of the MIRA grantees as compared to the MIRA applicants who did not receive an award. Both groups were roughly 25% female and included ≤10% of underrepresented racial/ethnic groups. These proportions were also not significantly different from those of the new and early stage R01 grantees. Thus although the MIRA selection process did not yet enhance these aspects of the diversity of the awardee pool relative to the other groups of grantees, it also did not exacerbate the existing skewed distribution. We did observe significant differences among the mean ages of the MIRA grantees, MIRA applicants who did not receive an award and the R01-funded grantees. The MIRA grantees are 1.5 years younger on average than those MIRA applicants who did not receive an award (37.2 vs. 38.7 years, p<0.05), and about 2 years younger than the FY 2015 R01-funded Early Stage Investigators (37.2 vs. 39.1 years, p<0.001). The R01-funded New Investigators in FY 2015, a pool which includes a few individuals older than 60 years, average an age of 45.6 years. This selection for funding investigators earlier is a promising feature of the first round of MIRA awards to New and Early Stage Investigators. As noted at the recent meeting of our Advisory Council, where Jon presented these data, 37 years is still relatively late for investigators to be getting their first major NIH grant. We will continue to monitor this issue with the goal of further decreasing that figure. Many people have contacted me wondering whether NIGMS is going to reissue the Maximizing Investigators’ Research Award (MIRA) for New and Early Stage Investigators (R35). We are planning to further test the MIRA concept for early career investigators and expect to publish a funding opportunity announcement (FOA) this summer. Applications would be due in the fall. As announced in the notice of intent to publish this FOA, the program will be similar to last year—except that it will be open only to NIH-defined early stage investigators (ESIs). Investigators can request an extension of their ESI status for certain specified reasons. The new announcement will include some other changes, so please be sure to read the entire FOA when it comes out. Once the forthcoming FOA is published in the NIH Guide, we will provide more details here and will update the MIRA webpage. In the meantime, we encourage ESIs with expertise and insights in any area of science within the NIGMS mission to consider applying. Know others who might be interested in this FOA? Please share this early notice with them.